I am so excited – I have not one… not two…but 39 postwar brochures, magazines, pamphlets and more in hand and will be featuring lots of great new material for the blog in coming weeks. How’s this for a start? 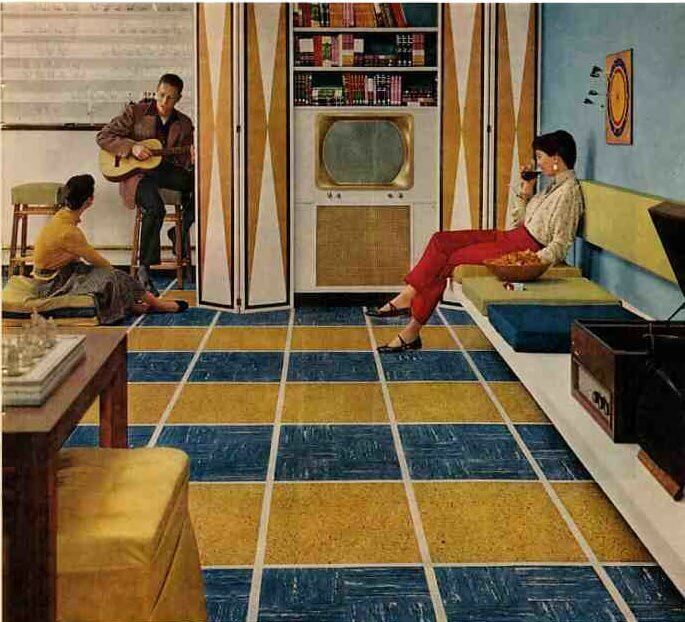 An utterly groovy 1956 basement for lounging all weekend long. The decor is just spectacularly done – the regency blue and gold combination couldn’t be nicer! The design is by Ken-Tile, one of the major names in vinyl composition tile. 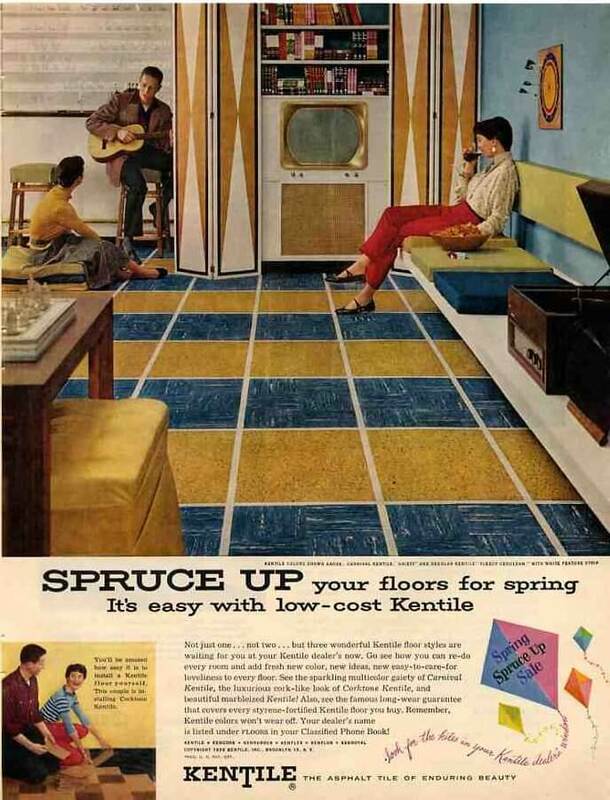 To be sure, the use of this tile was very creative in the 50s – and photos like this can teach us a lot about how to use an inexpensive material to great effect. There are some excellent choices in particular still available from Armstrong Imperial Excelon. Sorry – no accordian. But our two girls really seem to dig the guitar playing guy, don’t ya think? Great color scheme. The bold pattern on the floor and the sliding doors is really sharp. Looks like there are chess and darts for fun, as well as music and TV. This room has it all. We have to hang our dartboard in the garage — we obviously aren’t as accurate as these three. We would ruin the walls and the nice seating with badly thrown darts.